Homeschoolers often encounter sharp criticism from people who are against homeschooling. This article examines the negative aspects of homeschooling, and also shares strategies for dealing with negative feedback. Once my husband and I decided to homeschool, we were repeatedly confronted by well-meaning family members, friends and even total strangers who had heard bad things about homeschooling. Negative interactions with loved ones who are anti homeschooling can lead to feelings of insecurity, frustration and discouragement. If these disagreements take place in front of the children, they can negatively impact the kids. 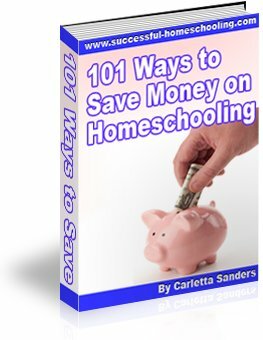 To learn about other problems with homeschooling, read this article about the disadvantages of homeschooling. If you are a homeschooler who is facing criticism from those you love, here are 10 tips for dealing with negativity from family members and friends. It is not easy to interact with people who disapprove of our choices, but remember, even those who express the most negativity are often operating from a place of genuine concern. Find out their motives. Is grandpa simply complaining because he's old and has arthritis or is he truly concerned for your children? Tell them your reasons for homeschooling. Be careful when making negative statements about public schools. You don't want to insult those who have children in the school system or make your parents feel guilty for having sent you to school. Involve them in your home school. Bring Aunt Sally along on a field trip or support group activity. Let Uncle Jim help with a science experiment. Show them how well your child is progressing. Have your children recite a poem or show off samples of their work. After seeing your progress, your critics may begin encouraging others to homeschool. Ask them to provide you with research that supports their concerns. Also ask if you can show them some homeschooling statistics. Curb your enthusiasm. Don't tell those who are against homeschooling that home education is mandated by God and you plan to unschool through high school. When asked why you homeschool, say, "We just think it's best for our family." When asked how long you will continue say, "We're taking it one year at a time." Agree to disagree. Tell them you understand their concerns, but won't change your decision at this time. Say, "Will you pray for us?" Practice this one before family reunion. Grandma: "You're ruining my grandchildren." You: "Thank you for your concern. Will you pray for us?" This will really throw them for a loop if you're a secular homeschooler. If all else fails, change the subject. Aunt Sally: "Why won't you let her go to school?" You: (Smile) "Oh, I just love this pie! What's the recipe?" Nosey Stranger: "Your children will be social misfits." You: (Smile) "Thank you Mr. Nosey Stranger. Have a nice day!" Set a boundary. I won't allow anyone to undermine my relationship with my children, so I draw the line when people approach my children with questions like, "Why won't mommy let you go to school?" This would be the time to say, "We love spending time with you, but we will no longer discuss homeschooling." If your loved ones value their relationship with you, they'll do their best to keep quiet. The good news is, it becomes easier to deal with criticism as you become more experienced and grow in confidence. In fact, I am no longer even phased by negative comments. Your friends and family members who were against homeschooling will likely become your biggest cheerleaders once they see your children thriving. Until then, do your best to preserve those difficult relationships, while also reaching out to those who understand and support home education.